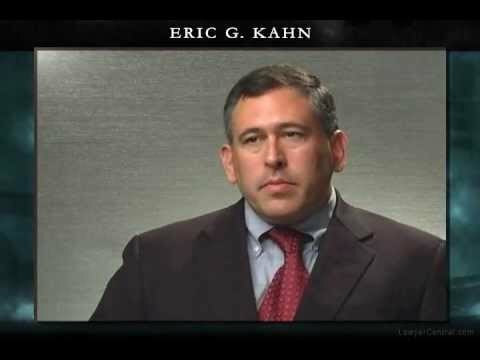 As a Certified Civil Trial Attorney, member of the American Board of Trial Advocates (ABOTA), and inductee into the International Society of Barristers, Eric Kahn handles a broad spectrum of significant and complex claim including automobile negligence, trucking accident, construction site accidents, product liability claims, medical malpractice cases, and claims against public entities. Notably, Mr. Kahn represented five construction workers in a case against a co-worker who cheated them out of their share of a Mega-Millions Lottery Jackpot obtaining a $20 million dollars jury verdict in March 2012. More recently, he represented a high school student who was assaulted and seriously injured by another student at school and obtained a jury verdict in excess of $16 million dollars in October 2012. In the past, Mr. Kahn represented the Estate of Faheem Williams, the seven-year old who was found dead in his relative caretaker’s basement in 2003, obtaining a $7.5 million dollar settlement from the Division of Youth and Family Services. Mr. Kahn also was involved in defending Molly Wei, one of the Rutgers students charged with invasion of privacy in the Tyler Clementi case, in defense of the criminal charges filed against her. Most recently, Mr. Kahn is representing the child siblings in a negligence lawsuit against the State of NJ involving the death of an 8-year old Irvington girl. Eric Kahn was recently installed as President for the New Jersey Association for Justice in New Brunswick, New Jersey for 2017 – 2018. He leads the largest plaintiff legal organization in the State which fights for plaintiffs’ rights and preserving the right to jury trials. From 2012 to 2015, Mr. Kahn was named one of the Top 100 Lawyers in the State of New Jersey by Super Lawyers. Also, in 2012, he was named as one of the Best Lawyers in the New York-New Jersey Metropolitan area. In 2006, he was certified as a member of the Million Dollar Advocates Forum, one of the most prestigious groups of trial lawyers in the country. Membership is limited to attorneys who have demonstrated exceptional skill, experience and excellence in trial advocacy and who have obtained recoveries on behalf of their clients in excess of $1 million dollars. In September 2004, Mr. Kahn was selected as one of the New Jersey Law Journal’s 40 Under 40, which features 40 of New Jersey’s top lawyers under the age of 40. 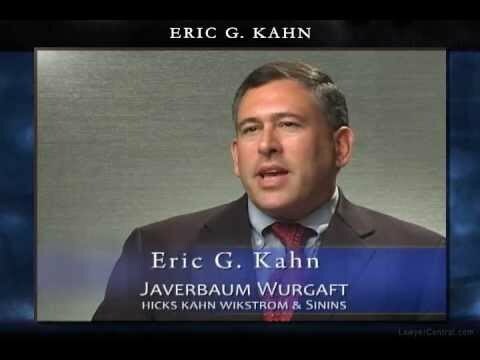 A member of the Javerbaum firm since 1993, Mr. Kahn is also the firm’s managing partner.